Love satisfies a basic human need for us to be close to and supported by a significant other. We are happier, healthier, and even live longer when we have strong, intimate bonds with other people. Relationships with romantic partners are a primary source of the close bonds we need to thrive. Being part of a healthy love relationship has been shown to increase longevity and improve mental well-being. On the other hand, being at the receiving end of emotional abuse has the opposite effect. The long-term effects from being in a constant fight-or-flight state subtracts years from one's life, and often leads to complete dysfunction and, sadly, suicidal tendencies. Anyone who is trying to leave an abusive relationship needs to impose very specific tactics in order to break away, heal, and move on towards a better life. Narcissists and emotional manipulators will do anything to get back in. While their unethical behavior should serve as a reminder of why one is enforcing No Contact in the first place, it's often hard to do when one is constantly bombarded with calls, emails, texts, social media notifications, and even in-person visits. 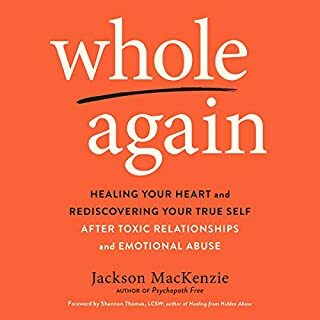 This book has helped me to come through the darkest point in my 39 years so far. I never felt a book could help me so much. I can't believe ghow shocking it is toitoi hear stories just exactly Like my own experience. I felt so alone and helpless until this book .This book is written in such a organized fashion that it is as if the writer is next to you knowing the order in which your experience left you feeling from moment to moment. It basso many valuable resources and so much guiudznce on how to rebuild from tghe pain and hurt you suffered. 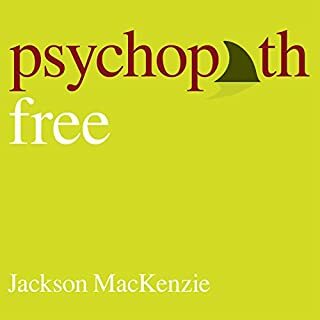 This is book is wriiten so it is easy to understand, without comp!icated theories. This book is the vest I've read on toxic relationships and I've read a dozen. It is written and meant to use throughout your recovery,so you can go back to chapters and use as a tool. Also I must add the narrator is great and is not boring or annoying. The narrator is a perfect match for the material. Thankyou for this book Kim!!! I couldn't put what I have been through in words because it has been so difficult to articulate.... but she did. Just hearing it began the healing process. I am not alone. 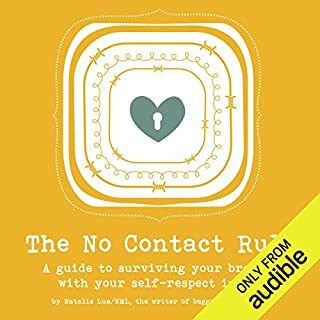 What made the experience of listening to How to Do No Contact Like a Boss! the most enjoyable? Found it by accident and at the right time and haven't put it down. listened to it multiple times already. What was one of the most memorable moments of How to Do No Contact Like a Boss!? 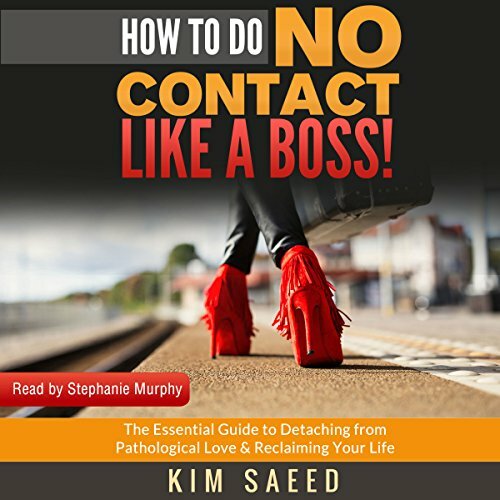 What did you learn from How to Do No Contact Like a Boss! that you would use in your daily life? Everything, too much to write here. I rarely write reviews, made an exception on this one. Fantastic book, but as a heterosexual man, it is very difficult for me to read when the abuser is referred to in the masculine. I have to actively replace every "him," "he," and "his," with "her," "she," and "her," respectively. This renders the Audible version (which I paid for as well) unusable for me. It may seem like overkill, but I highly recommend that the author makes TWO versions of this book, one with the abuser referred to in the masculine (this book), and one with the abuser referred to in the feminine. 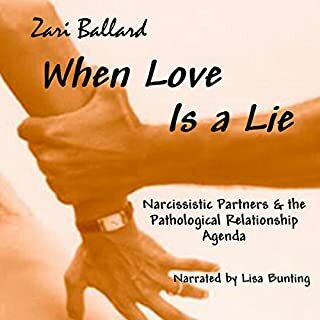 For anyone in an abusive relationship, this book provides great information and great resources. Audible is an excellent format to digest this important information. Really good guide and information. As a survivor or a few relationships with Women with Borderline personality disorder I can say that a lot of the descriptions of why I stayed too long were really spot on. 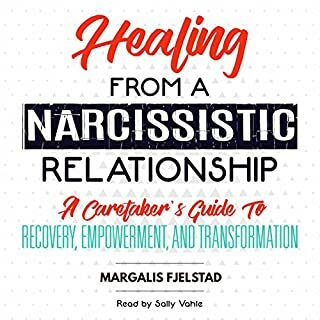 Early on the author mentions that Narcissist would be used as a single term for other personality disorders including BPD. I felt this was an over generalization and the book could have been 5 stars and more applicable to borderline encounters by calling out the differences more often. I wished I read it four years ago!!!!! From the moment I listened to this book I could not stop !!!! Best book I have ever listened to, for me I had to hear all this. Everything my whole life made complete sense. I kept thinking about all the matches to my life, it made me feel strong, like I had someone with me, helping me. I’m now feeling proud of myself as I’ve been doing what she suggests, and have acted like she said people do!!! Omg such an eye opener for me. I’m so lucky to of come across this. Anyone who has been in the dreadful situation where they have been completely crushed by the devil disguised an angel needs this book. 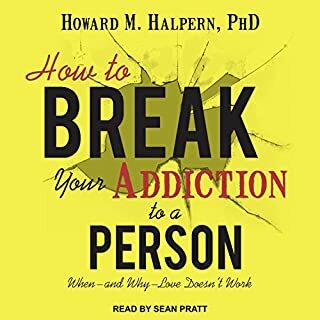 good book, well worth a listen especially if you're in that situation and need some help to focus.